Disney World is one of the best places to travel to if you have food allergies, intolerances or restrictions. With millions and millions of visitors each year, they’ve definitely released that they need to be able to feed all those people… even the ones who require special dietary requests. Full disclosure: I love Disney World and I have traveled there almost every year since I little. But Disney has earned even more bonus points with me in recent years because it’s one of the few places I go that I don’t have to worry about what I’m going to eat. With few exceptions, most restaurants and counter-top service food places, handle dietary concerns with extreme care. It starts when you make reservations at restaurants. You can put in all your food allergies and other restrictions, so that when you arrive at the restaurant, the ticket they print when they seat you has ALLERGY stamped all over it. That ticket is then given to your waiter who will call over either the chef or manager to go over your dietary issues and walk through what options are available to you. That being said, I always look at the menus before I make reservations to make sure that there appear to be awesome options or possibilities on the menu. You can do that right from Disney’s website. When it comes to parks, Animal Kingdom takes the gluten-free and vegan cake. Both in terms of the park itself and resort area. The Animal Kingdom theme park is very gluten-free and vegan friendly. There is a big push towards over-all greeness at the park, and the vegan-friendly options available at most eating establishments reflects that. Tusker House Restaurant is a great spot for lunch. It’s an all-you-can eat buffet with lots of gluten-free and vegan options and possibilities. As in all Disney buffets, the chef will walk you through it and point out what is or can be made gluten free and vegan. Once you go over all the possibilities, the chef asks you what you like (or if you’ve not thrilled with the options, what they could do for you) and then they prepare it in the kitchen so that you don’t have to risk the cross-contamination of the buffet line. My two of my favorite restaurants in all of Disney are actually at the Animal Kingdom Lodge. 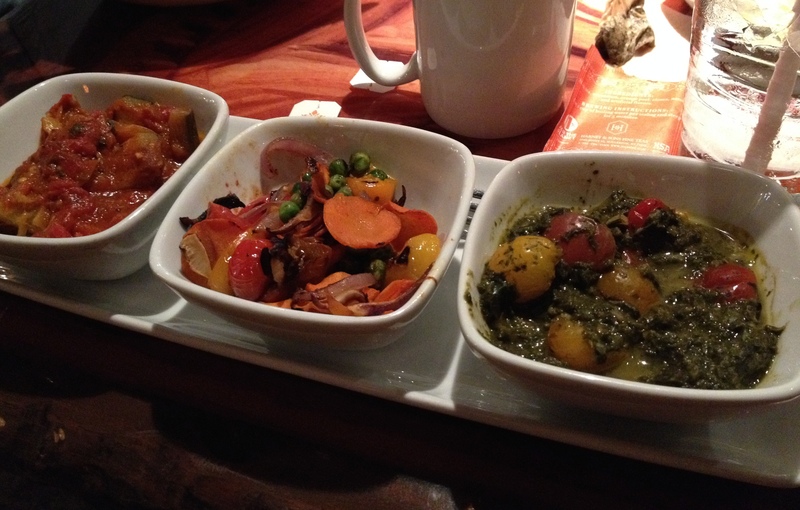 Boma, another all-you-can-eat buffet and Sanaa, my absolute fav. Sanaa has an entire vegan menu that is mostly gluten-free. 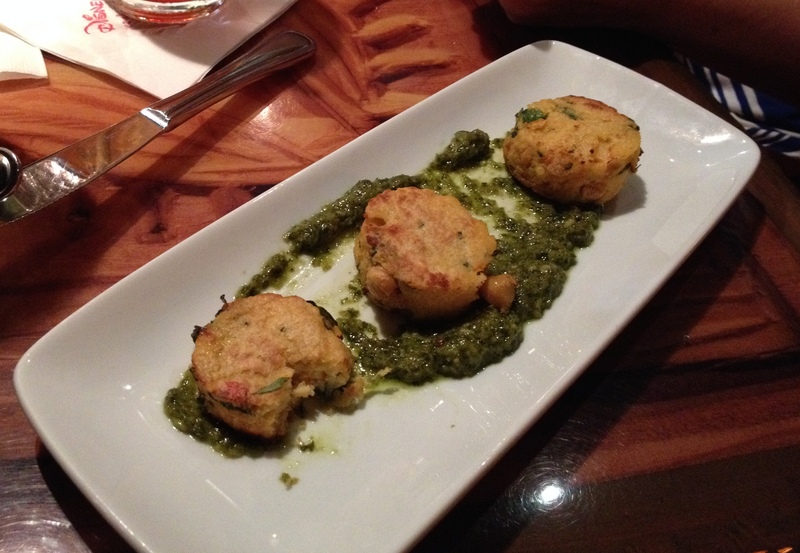 Try the Chana Tikka (chickpea cakes, see photo above), you will not be disappointed. See my restaurant reviews later for more on these restaurants. Epcot’s theme park is one place I will offer caution about. The restaurants in its World Showcase are managed by outside venders, and so are not as knowledgable of dietary restrictions as the rest of Disney. I had a horrible experience at Via Napoli, a pizza joint in Italy, when I was there last year. I blame it mostly on the waiter (he did not speak English that well), and for me not being firm enough with my requests. However, Sunshine Seasons cafeteria in the Land of Epcot, has tons of gluten-free and vegan items. And even Enjoy Life cookies for dessert. Hollywood Studies and Magic Kingdom both have many fast-service options, but the restaurants tend not to have a lot of vegan items. When I go to these parks, I tend to make reservations elsewhere at resorts. Stay tuned for future reviews for more on those restaurants. 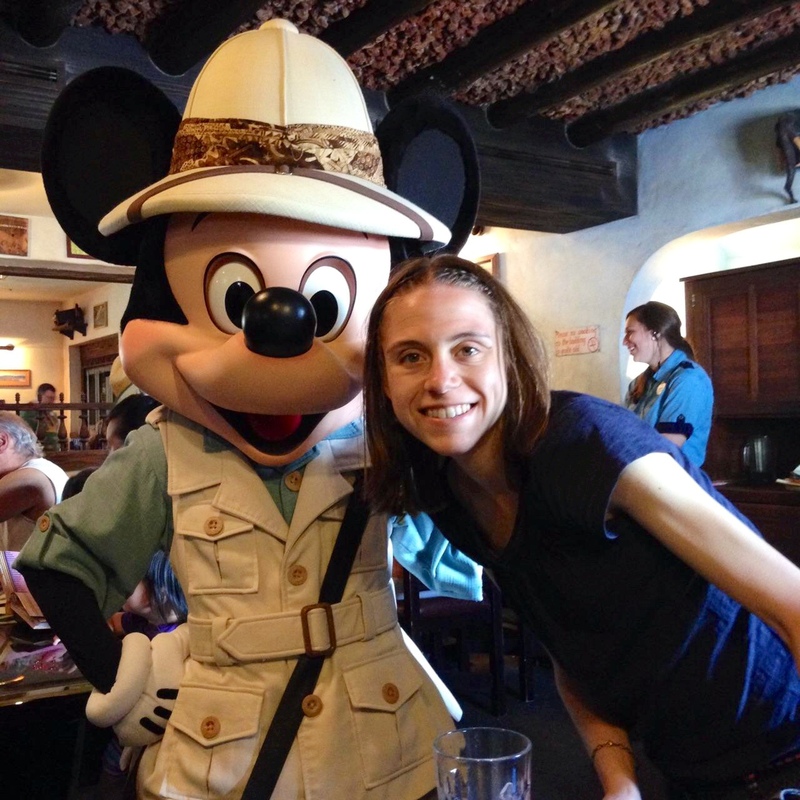 Overall, you can feel confident (and even really excited) about traveling to and eating at Disney. The chefs are really awesome and you never know what they will come up with if you ask them to be creative.